1922 Jan 30 Relinquishes his commission Labour Corps Temp. 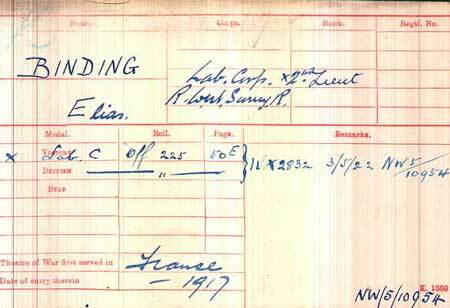 Lt., and retain the rank of Lt.:- E. Binding. 1956 Apr 20. Died London aged 75. Elias Binding of 107 Sinclair Road, Hammersmith, London died in Fulham Hospital on the 20th of April 1956. 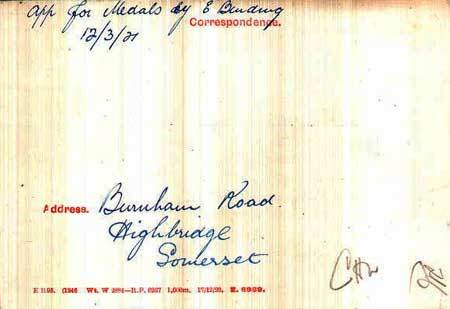 Probate was granted at London on the 9th of November 1956 to Violet Edwina Binding. Effects were valued at £284 15s 6d.